Retired church minister Clive Jones is just one of 160,000 people at risk of developing diabetes in Kent and Medway. But thanks to a diabetes prevention programme the Staplehurst resident has a new lease of life. The 69 year old was diagnosed with heart palpitations and high blood sugar levels last summer. His GP advised him to make some lifestyle changes and referred him to the local Healthier You: NHS Diabetes Prevention Programme. 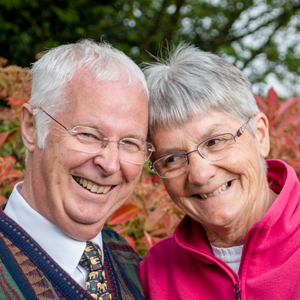 After just a few months on the programme Clive had lost 18lbs, his blood sugar levels were decreasing and he was regularly swimming, gardening, cycling and walking. Clive joined the monthly Healthier You sessions in Marden to discuss all aspects of preventing Type 2 diabetes. The course covered nutrition and exercise and suggested behavioural changes to maintain a healthy weight and become more physically active.